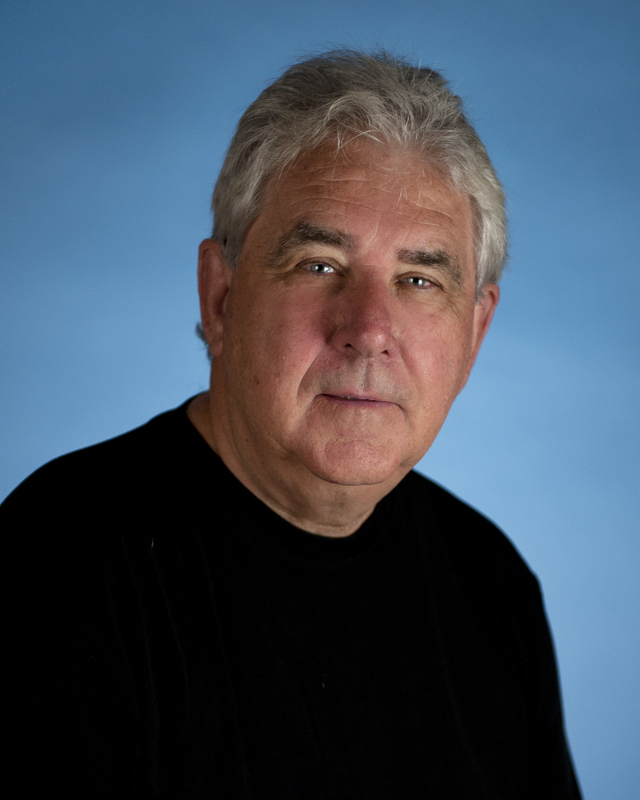 On Friday February 10 at 6 PM I will have a book talk and signing at IAM Books, 189 North Street, North End Boston just across from the Paul Revere house. The link below will take you to a 27 minute podcast done on April 11, 2016 on AM radio station WMEX 1510 Boston with talk show host Michele McPhee. I was scheduled to talk about my novel Necessary Assets along with my family remembrance 784 Broadway. We never quite made it that far. We did discuss, sometimes with humor I might add, the La Cosa Nostra, the Sicilian Mafia, electronic versus human intelligence gathering, terrorism, and various challenges the host directed toward the current political scene. We are now working on scheduling another appearance to resume the conversation and discuss Necessary Assets and 784 Broadway. Dad is preparing dinner. Mom will be home from work soon. She called to say traffic is bad tonight. Seated at the kitchen table doing schoolwork are their eight and thirteen-year-old sons. They are anxious to finish as they want to watch the hockey game after dinner. It is Wednesday, an evening set aside each week for a family dinner. It is a midweek checkup on how everyone is doing. The TV is tuned to a national news channel where commentators and reporters are discussing the day’s activities in the current presidential primary campaigns. The father is only half listening when he hears a commentator note how he and his colleagues never anticipated the discourse among one party’s candidates could ever fall to such a low level. Hyperbole, simplistic bumper sticker responses answer every issue raised, and all of these take a back seat to on camera comment uttered to assassinate an opponent’s character. The next question from the news anchor seemed to attract the father’s attention even more. His two sons looked up to the TV at the same time. “Dad, what is an epithet?” asked the eight-year-old? Dad agreed to his son’s response with a warm and approving smile. The TV next played a video of one of the candidates speaking at a rally. The candidate was shouting, jabbing his finger, shaking his fist, and screaming at his audience telling them how he was going to build a wall on the Mexican border to keep illegal immigrants out of their country. The audience screamed their approval back to the speaker. “What is he so angry about?” asked the younger boy. “What did the teacher have to say?” asked the father. “Were there any conclusions reached by the class concerning this party’s candidates?” asked the father. “What did your classmates think?” asked the father. The boys put their heads down and conferred in private for a few moments. They agreed on an answer now reported by the thirteen-year-old. Mom was now standing in the kitchen doorway with a smile on her face. She did not know what was going on, but she was sure it was good stuff. Periodically I have found sympathy with those who believe the phrase “national security” to be overused and abused particularly when I am transiting an airport or dealing with a financial institution. However, I ask you to follow a case in California between the FBI and Apple Computer. Your informed voice may be critical if a congressionally legislated answer to the problem is required. In the past, Apple has cooperated substantially with local, state, or federal law enforcement, armed with court authorized search warrants, in unlocking iPhones. In October 2015, after introducing its iOS 8 operating system, Apple said they will no longer honor these court orders. In the California case at hand, Apple refuses to assist the FBI holding a court order for Apple to create software to unlock an iPhone 5 c without data being deleted. This iPhone was used by a suspected terrorist who participated in killing 12 people in San Bernardino, California and wounding many more before dying in a shootout with police. No one knows what is on this iPhone. There may be nothing relevant or data leading to others involved. Was it a terrorist attack? The execution of this order is a court monitored process in its entirety. The FBI has offered Apple procedural alternatives to allay expressed concerns over product or software integrity. Why now this change of practice by Apple? Are they seeking a negotiating advantage by blinding law enforcement in their effort to prevent or solve crimes? Software genius Bill Gates recently appeared on the Charlie Rose show. When asked by Rose if Apple had the ability to do what the FBI was asking, Gates stated that he had no doubt Apple already had the technology that could assist the FBI and the iPhone could probably be unlocked in a very short period of time. So if it is not a question of Apple’s ability to perform, and there is no suggestion from Apple that the request is beyond their technical capabilities, why then has Apple abruptly changed its position? Some say that Apple is being challenged by loss of mobile phone market shares to other manufacturers and encryption was something they could offer a purchaser to distinguish their product. Loyalty to customers, protection of data, damage to brand, not being an agent of the US government, theft of valuable software, these are words used publicly in opposition to the government’s request. Criminal and terrorist groups already know that law enforcement is now technically blind to their communications using iOS 8 software. One criminal in prison was taped telling colleagues to make sure everyone got a phone with the iOS 8 operating system. How do you think Apple’s position will impact the government’s ability to predict or prevent terrorist attacks? How long will this last? When Thomas Wolfe’s novel You Can’t Go Home Again was published posthumously in 1940, Wolfe delivered to his readers a sad reality. We cannot recreate a loving past. We have to adjust, move on to the now, the present and the looming future. However, like many truisms, there are exceptions. I just enjoyed one. On November 17, 2015, I had the opportunity to address over 100 members and guests of the Ulster County Italian American Foundation, Inc. (UCIAF) at Casa Milanese in Highland, New York. The topic was my new book, 784 Broadway, a remembrance of my summers spent and lessons learned from my immigrant Italian great grandmother, three great uncles and a great aunt. The center of this life was their family Greengrocer store in Kingston, New York and at the family Camp in nearby West Hurley (both in Ulster County). UCIAF president Tony Marmo set the stage for what was more than just another after dinner book talk. 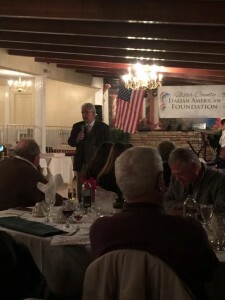 The UCIAF is organized as an IRS 501C3 charitable foundation whose mission is to preserve and promote the Italian American culture. They have no political or religious affiliations and raise funds to address community needs throughout Ulster County. Less than a year old, UCIAF is already financially supporting Ulster County community groups. The quality of their leadership and organizational vitality was apparent from the start. When enjoying an Italian community in Italy or in the US, you always find a warm, affectionate, caring group of people willing to share whatever they have. My wife Merita joined me for the trip over from Boston as we wanted to visit the cemetery where the majority of my family members are buried. I also wanted to visit places in Kingston that remain rooted fondly in my heart to this day. From the experience of prior trips, I would have agreed with Wolfe. Places did not make a home. People did. Some very special family friends, who took over the family Camp in West Hurley, saw my talk advertised in the local newspaper. To our great surprise three of them were able to attend the dinner. We enjoyed a very special family reunion which we were able to share with the audience. Merita told of how years ago she explained to a young girl in this family during a visit what it was like for Merita to then serve as an FBI agent. Inspired by Merita, this young girl, now a woman, is herself serving as an FBI agent. We planned a question and answer session and this was perhaps the best part of the evening. It was like a conversation of family and friends around a fantastic dinner table. When it was time to leave, we were already planning our return. We had invitations. Contacts were exchanged. Columbus Day next year is already in the calendar. We share a common purpose to preserve and promote the Italian American culture. I have done it in two books. This is a group that will do exactly the same, and do it well. Check out their website www.ucitalianamericanfoundation.org. My 10 year old granddaughter Anna, like her siblings, is well read and quite articulate. Her 15 year old brother Liam served as “junior” editor for 784 Broadway. To my surprise, Anna informed me a few days ago she was almost finished reading 784 Broadway. As usual, Anna didn’t pause for my response but continued her rapid fire speech. “I am writing my own book,” she announced proudly. She named a few classmates with whom she was discussing her story ideas, described her already written prologue, and explained how far she had progressed in having her characters tell their story. “Would you like to read what I have written?” Before I could complete the word “yes”, Anna was opening the story document on her laptop. Sure enough there was a prologue and a story in progress. I started reading and was quickly impressed. I considered her story concept immediate Disney material. “Would you help me with my writing?” asked Anna. “Ok Anna.” I had my instructions. A few days later Anna emailed saying she was thinking of introducing another major character into her story. She wanted to know if it was the right time. We had a discussion. It was wonderful to see her exuberance and excitement. She is clearly an artist at work. 784 Broadway is about family members who were willing to invest their time, love, and energy into me and my brothers much as they did for my father and his brother before us. I didn’t think it would take me long to write their story. After all, it was just some family history about people I loved, no complicated plot, just a pleasant idea, a few points to be made, tell a few stories, and then return to writing my sequel to Necessary Assets. 784 Broadway proved at times more complicated in its writing than in its planning stage. It proved difficult for me at times to transfer to paper exactly what was in my heart and mind about these folks. 784 Broadway is now published. I am back to work on the sequel to Necessary Assets. My experience with Liam and Anna helps me understand even more about my Kingston family. The joy I have in seeing these children progress as people under development, works in progress, in which I get a chance to participate, is all the reward I could ever hope for. It explains the smiles I saw upon the faces of the Garbarino and Edelmuth clans. I enjoy that same smile. I have just completed my second book titled 784 Broadway. It will be formally launched in Boston in April. Over the next several weeks I will tell you more about 784 Broadway. I describe this book as a remembrance, from my childhood to adulthood and beyond, of the profound influence my Italian immigrant side of the family had on my personal development and how they also influenced my career as an FBI agent. I hope reading 784 Broadway will, in an entertaining and at times a humorous way, awaken within the reader fond memories of those who positively contributed to their lives. Returning from travel, I am always glad when my plane touches down at Logan. I have loved living in the North End these past 30 years. I have known why from the start but the 70 inches of snow in the last two weeks, with much more on the way, has driven the point home to me yet again. I don’t need a car when I step outside my front door. I know my neighbors and they know me. When you see someone on the street you know, you stop, say hello, and pass a pleasant moment. When you shop, it is with merchants you know. Shopping here, as in many European cities, is often done on a daily basis and in a neighborhood where you live. This makes shopping more a social event like visiting a friend. You can’t achieve the same experience in suburbia when restricted to a car and your shopping is done at a mall or in a box store. Everything we could possibly need, including emergency medical services, is present within the North End. We are not limited in our shopping selections as there are multiple bakeries, butcher shops, tailors, wine merchants, barbers, cleaners, convenience stores, hardware stores, salumerias, panetterias, fresh seafood and sushi offerings, chic clothing stores, banks, and two very cool, high end, custom hat and accessory stores. One has a variety of options to select from within a particular shopping category. We have a store dedicated to green grocer items, fresh herbs, along with fresh fruit and pasta. Another store caters to spice needs, nuts, tea, coffee, dried herbs and candies. We have a choice of pharmacies but are even more fortunate to have one which is not a chain store and has been family operated for many years. A pillar in our community, this pharmacy enjoys the support and trust of the entire community. We have local craftsmen who can service all condo, apartment or building construction or repair needs. They will put on a new roof for you or repair the door latch leading to the roof. This is a small community where a service reputation is valued so performance tends to be good. We have churches that remain open during the day. Two Catholic churches are open all or a good portion of the day and a third offers daily morning services. The Old north Church is open daily as a historic building but it is also an active Episcopal parish where people are welcome to enter and pray. If you would like to visit a church, you will find one available in the North End. The North End Branch of the Boston Public Library is very popular with the young mothers and their children as well as the senior crowd. However, their programs reach out to the entire community. You can always stop by the local fire station and say hello. They are great with kids who have never seen a fire engine up close and personal. Our local parks are superlative. They are well supported by volunteer groups and function as great respites for North End residents and visitors all year long. With the winter we are having, take a moment and reflect on how lucky we are to live in such a great neighborhood. It is within Tom Brady’s football throwing range to the heart of downtown Boston, one of America’s most loved and walk friendly cities. We have it all! Rejoice in that thought during these next blizzards. We have the MBTA (most of the time) so park the car and leave it until spring. It is difficult to follow news of the recent Paris terrorist attack without having our own negative emotional response. We feel anger, disgust at the barbarity of the event, helplessness, and yes, even fear. We again must face the fact that life is truly fragile and terrorism is a concrete threat to all no matter where we live. Personal security is no match for a well planned terrorist attack. We have these thoughts, these natural reflections on the event, but at the same time we need to realize what is in our minds is exactly what the terrorist wants us to dwell on. The goal of the terrorist is to create terror in the public mind in order to counter and defeat a representative government’s will to oppose their religious, economic, or political demands. A terrorist is a school yard bully on steroids seeking his or her 15 minutes of fame using a gun, a bomb, or presenting a scene so grisly as to disgust any viewer. What are we to do? If you look up the ten most corrupt countries in the world, as measured by any of the groups that monitor the efficacy of governments, you will note among the most corrupt are those harboring, directing, or are actual architects of state sponsored terrorism. The least corrupt countries are those that have an open political and budgetary process, accountability in government functions, and freedom of the press both in theory and in practice. This is not exactly what is going on today in Iraq, Afghanistan, Sudan, South Sudan, Syria, Libya, Somalia, and the list goes on. Many Islamic imams denounce terrorist attacks like Paris as being against Islam and the Quran. Of course the Islamic fundamentalists have their own imams who justify these same terrorist attacks and killings. Hanging in the future balance are the disenfranchised youth of either camp. Whose point of view will they adopt? Will they be swayed by the power of the gun, the threats, the bullying or will they be part of an open society that respects the rights of all? Are we in a position to influence that outcome no matter how small or insignificant a role we might have? What will these youths see in our response to these cowardly attacks? The US government has clearly told terrorists leaders we will immediately seek you out, put you in our cross-hairs, and kill you. You have declared war on us. The US has successfully denigrated the al-Qaeda leadership and is seemly effective with this same approach towards ISIS leaders. This course of action has raised the specter that we may not see the large scale attacks such as 9/11, with this denigrated and scattered leadership. What we are more likely to see are “lone wolf” or local militant group attacks following the same jihadist thinking. There are plenty of opportunities for citizens of European or Western countries to participate in terrorist military training and even to acquire actual combat experience. After they can return to their country of citizenship and mount active terrorist attacks requiring very little outside support. This is why it is imperative governments continue to conduct active counterintelligence campaigns and penetrate these terrorist circles and communication systems both abroad and at home. The most effective defense to a terrorist attack is to apprehend the terrorists before they can execute a planned attack. Yet all of this must be done within the letter and the spirit of the law. To do otherwise would lead us down the slippery path of selectively ignoring our own established democratic values. This seems like good advice for us to consider today.